On a cool October morning, energy buzzed in a third-grade classroom in western Massachusetts. Students sat on the rug, raising their hands and grinning from ear to ear. As I entered at the back of the room, I was struck to hear the words “I disagree!” coming from the carpet. Could it be that all of this excitement was coexisting with—or even coming from—debate? I hung my coat and settled in to observe this science lesson in action. 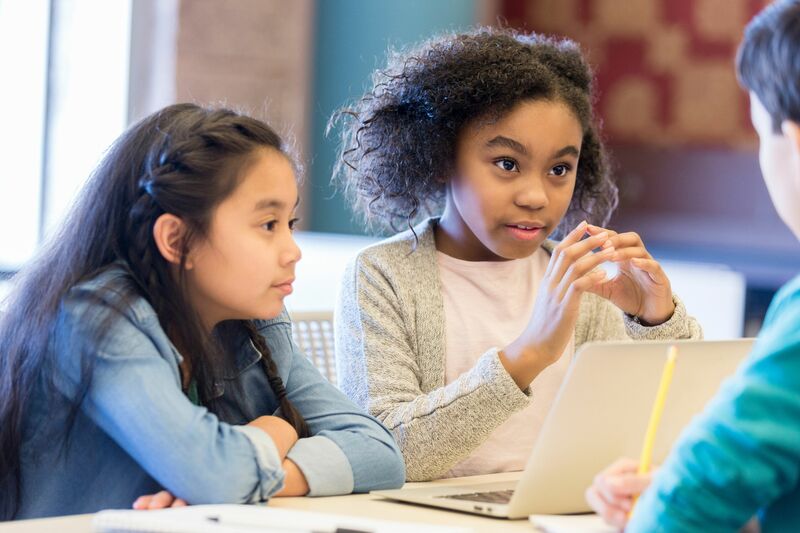 “Disagreement is great!” the teacher exclaimed before reminding students of a prior discussion about how to share and use dissenting opinions as a tool for problem-solving. I recalled the political pundits I had listened to on my morning commute. “Disagreement is great!” seemed like a message that grown-ups needed to hear as much as third graders. Situated among the desks, I thought of my own experiences leading story circles centered around identity development. I recalled the words of students and faculty whom I’d coached through the sharing process, their stories about civil rights, mental health, and community engagement vivid in my mind. So often, personal storytelling demands that we counter polarization by welcoming the complexities and contradictions inherent to human experience. Dissent is crucial to productive discussion—whether in third grade, Congress, or the board room. However, students don’t arrive at school ready for productive disagreement; we must purposefully support its development. Here are four strategies all teachers can use to scaffold disagreement in the classroom. Best-selling author Colum McCann’s organization Narrative4 encourages students to share stories about charged topics using first-person perspective in a story exchange. Story partners listen to each other’s first-person experiences related to a designated theme or topic and then share out by retelling their partner’s story in the first person, just as though it happened to them.